The ancients believed that planets and other celestial bodies obeyed a different set of laws from ordinary physical objects on the Earth. By the 17th century, however, astronomers had realized that the Earth itself was a planet and that -- rather than being the fixed center of the universe -- it revolves around the sun like any other planet. Armed with this new understanding, Newton developed an explanation of planetary motion using the same physical laws that apply on Earth. 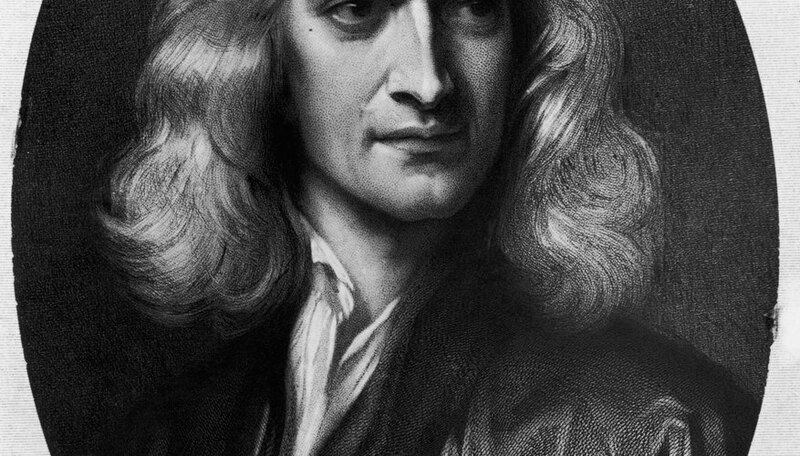 Newton was born in Lincolnshire, England, in 1642. At the age of 27 he was appointed professor of mathematics at Cambridge University. His particular interest was the application of mathematical methods to the physical sciences. Planetary motion was one of the most hotly debated topics of the time, and Newton devoted much of his effort to developing a mathematical theory of this. The result was his law of universal gravitation, which was first published in 1687. In Newton's time, everything that was known about planetary motion could be summarized succinctly in three laws attributed to Johannes Kepler. The first law states that planets move around the sun on elliptical orbits. The second law states that a planet sweeps out equal areas in equal times. According to the third law, the square of the orbital period is proportional to the cube of the distance to the sun. These are purely empirical laws, however. They describe what happens without explaining why it happens. Newton was convinced the planets must obey the same physical laws that are observed on Earth. This meant there must be an unseen force acting on them. He knew from experiment that, in the absence of an applied force, a moving body will continue in a straight line forever. The planets, on the other hand, were moving in elliptical orbits. Newton asked himself what sort of force would make them do this. In a stroke of genius, he realized that the answer was gravity -- the very same force that causes an apple to fall to the ground on Earth. Newton developed a mathematical formulation of gravity that explained both the motion of a falling apple and that of the planets. He showed that the gravitational force between any two objects is proportional to the product of their masses and inversely proportional to the square of the distance between them. When applied to the motion of a planet around the sun, this theory explained all three of Kepler's empirically derived laws. May, Andrew. "How Does Newton Explain Planetary Motion?" Sciencing, https://sciencing.com/newton-explain-planetary-motion-20884.html. 25 April 2017.